Confirmed! 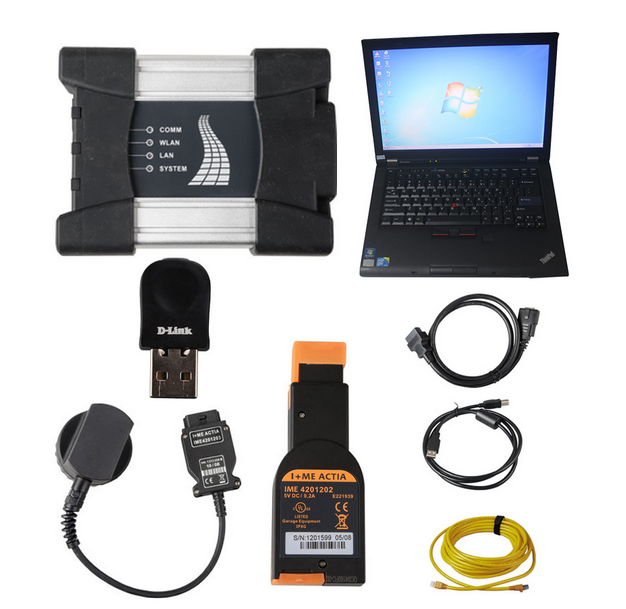 BMW ISTA-D/P works in windows 7, 8 (8.1), 10 without problem. Work no issues with BMW ICOM cables such as ICOM A2, ICOM Next, etc. Check the resolution on desktop, it is the same as ISTA-P resolution you just chose. ICOM Device status will be changed to Reserved. Put all correct files in sharedstorage and install all. After the Windows 10 update (which failed the first two attempts because it turned out the BIOS needed an update first) most applications were fine. By simply revisiting the COM port settings for my K + DCAN USB to set back to COM9 , minimum buffer sizes and minimum latency Rheingold ran perfectly. Loader V3.2 and ISTA-P was a bit more tricky. I re-ran the Network Config Tool. I tried Loader V4.3. No joy. However I did it nicely and ISTA-P runs nicely too, and with the excellent Loader V4.3 . The Windows Networking and Networking Toolkit for Networking and Networking. Question: Where (what path) do you place the SDP contents to support flashing from ISTA? Also, where do you place the BLP contents as well? You should be equipped with laptop knowledge and rich in software installation if you want to install BMW icom software yourself. real professional will help you to install all BMW software in the disk before delivery. a second-hand but functional Lenovo T410 can be your way to go. It depends on your purpose (diagnostic or coding or programming) and model (Exx or Fxx or others). For Coding, you need different Tools, NCS Expert / SP-Daten for E-Series and E-Sys / PSdZData for F-Series. All Diagnosis and Coding can be done with cheap DCAN Cable for E-Series and cheap ENET Cable for F-Series. For Programming (Flashing ECU’s with new Firmware), then you need ISTA/P for for both E-Series and F-Series cars, or you can use WinKFP for E-Series and E-Sys for F-Series. For E-Series Programming, you will need an ICOM, but for F-Series Programming, you can use ENET Cable. Reply 1: Both of these have the same hardware. None of them are clones of anything also. A3 is fully china version of ICOM, there is no original version looking like this crap. NEXT is just looking as genuine NEXT, but with old A1/A2 hardware inside, like A3. Reply 2: I recommend buying an original Icom next. It is priced roughly at 500 euro. Take in consideration that you will probably work on cars that are worth 30-40k euro or maybe more and if your chinese icom fails you even once, you will be spending a lot of money on a bricked ecu. ICOM Next wins in price!!! ICOM Next A wins in performance!! BMW ICOM Next wins in speed!! ->much faster in BMW F and G series ..
Next wins in future cars! -> supports gigabit Ethernet too to be future proof, there currently is not gigabit Ethernet protocol defined yet for autos. ICOM Next wins in connection! We need usb 2.0 or usb 3.0 flash drive formatted with FAT32. ICOM Next wins in PCB design! It’s a HALOGEN TO LCI HEADLIGHT Tutorial!!!! Excuse my English I hope this help some of you guys! In this site you will see the diagram for wiring! Now after you know what your going to do with the wiring uninstall the frm and install frm2. You will need NCS expert and Winkfp and inpa! and the icom cable obd to the computer! when you get the cable just read instruction and you ill be fine.. but just in case if your cable didnt bring the instruction here is how to program the cable make sure the computer read the cable if not download the driver after your pc read cable go to start on computer right click properties, device manager,then PORT click on it look for the cable then double click then a window will open lick on port setting (tap) click on advance at the bottom and make sure to set COM to COM1 and the latency to 1 it should be on 16 from default click ok and you are ready to go! 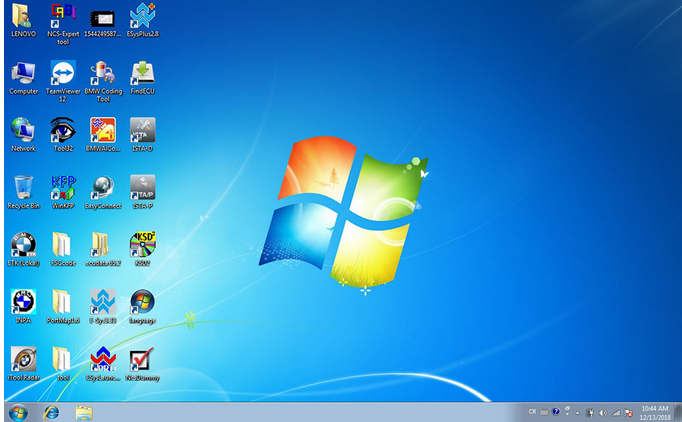 After you install all this software you need to open NCS expert to Change VO and VIN to yor frm2. And then program it! OK now if you have AHL you need to add this VOs $522 and $524 to CAS and FRM and change production date that is going to be like this for example (#1205) you have to change it to at least #0307. and if you have just xenon add $522 and production date #0307. NOW question is how to do it. now a new window will open with a list of numbers.. is gonna say attribute ADD and OK at the bottom now we are going to add $522 and $524 and click in top of the first one that is the production date and hit the delete bottom on your keyboard and add the #0307 and click OK then F6 back then choose F4 choose CAS then F2 change job to FA_WRITE and F3 execute job and you are done! now to make sure everything is good Go back to the main menu (or restart ncs-expert) and get the vehicle order from the “NFRM” module. Make sure NFRM returns YOUR VIN and YOUR VO. We want the VIN (FG) and VO (FA) to be the same in both CAS and NFRM. 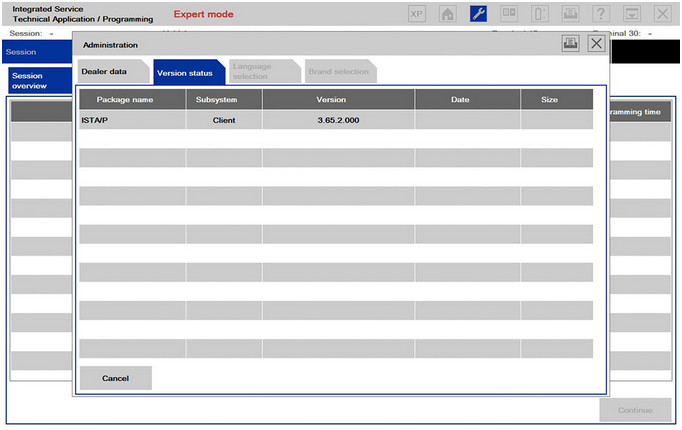 To do this same steps load profile expertmode F1,F3 select chassis and select “NFRM” NOT CAS!!! and it should be your VIN and VO the same as CAS. Now to program NFRM you have to use Winkfp but first you need to know the part number of the NFRM using inpa that is gonna show on inpa FRM_70. go to inpa folder and look for inpaload select chassis and a window will open and select the first one functional jobs then f2 indet in there you will look for FRM_70 and copy the ZUB that is the part number IT should say for example (9204527) this is a example copy that number down and close inpa. now open Winkfp and choose confort mode F1 enter ZUSB put the number that you wrote down here and ill look for your frm automatically click ok then F4 Enter Vin put your car vin # click ok and then update ZUSB look for the one that gives you in the first step for ex(FRM2) then click on done! if it gives you an error 106 is because you dont have the cable plug in into the car! after that lick on F3 Prog. ZB UPdate and wait until is done and you are done! load profile then go back to file and click edit file and click on FSW/PSW and uncheck the option “FSW/PSW manipulate with FSW_PSW.MAN” then click ok and choose profile info and on the name put whatever name that will remember you that thats the profile to code to factory any ecu using NCS expert then click ok and ok again that windows will close and click file save as and put the name that you choose.. Then F1, F3 choose chassis then CAS then F4 choose NFRM then F2 SG_codieren then F3 done! Now to code with NCS expert you will need to create a FSW_PSW TRC file..
same F1,F3 select chassis select CAS F6 back choose ecu F4 NFRM and change job F2 CODIERDATEN_LESEN then f3 execute job now dont close ncs expert and go to ncs expert folder then to work folder and you will see that there is a FSW_PSW trc file open the file change what ever you need to change and after you change everything save the file.. go to file and click save as and write FSW_PSW.MAN now go back to NCS expert and Click on file edit file and go to FSW_PSW click on it and make sure to check the option FSW_PSW manipulate with FSW_PSW.MAN click ok then choose ECU F4 select the Ecu that you choose to read with CODIERDATEN_LESEN earlier and now change to to SG_codieren and F3 execute job and You are DONE coding! THANK YOU FOR READING I HOPE THIS WILL HELP SOMEONE I SPENT 2 WEEK TO LEARN ALL THIS AND NOW I WANT TO SHOW IT TO YOU GUYS! 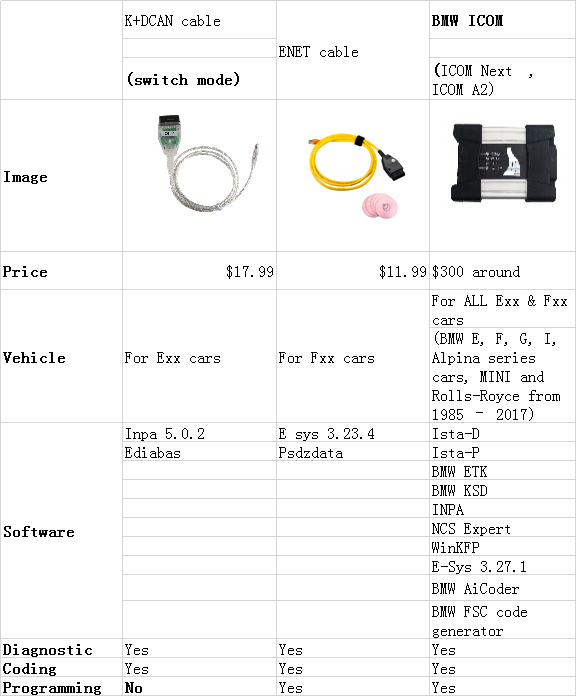 Check information below to read if you’d like to know why coding/register BMW Diagnostic Tool ss important and how you can get it done yourself! Credit to bNks334 from bmw e90post forum. You are at your risk. Q: I have an older E90, does this apply to me? A: This guide only applies to vehicles equipped with IBS (intelligent battery sensor). Registration and coding will not be successful on older vehicles that are equipped with basic power management systems. Q: I replaced my battery and it works just fine, why all the fuss? A: Disregarding the need to register and code for a new battery may result in improper charging. Over time, improper charging may have detrimental effects on the lifespan of your cars battery and the operation of the vehicles electronics. Q: Why do I need to register a new battery? A: The short answer is that BMW designed the charging system with an algorithm that varies the rate of charge by the age and type of the battery installed. Registering a new battery resets the algorithm back to optimal charging voltage for the specified battery. Q: Why do I need to “code” for a new battery? A: The answer to this varies. You may not have to! That is, so long as you replace your old battery with an exact replacement. However, if you switch from a wet-cell type battery to an AGM type battery, or vice versa, you must code for the change. AGM and wet-cell batteries require a different rate of charge output from the alternator. Moving between these two types without coding can lead to over-charging or under-charging. Also, batteries have a discharge rating called amp hours (ah). You must specify to the DME what the “ah” rating of your battery is so the car can run the proper charging algorithm. Q: I bought a lightweight battery, but the “ah” rating for my new battery is less than the lowest setting available in the CAS/NFRM module. Is this ok? Personally, I am running a Deka/East Penn Sports Power ETX-30L Battery ($103.99). I used XS Power 586 Tall Brass Post Adaptors (M6 Thread). The Deka ETX-30L is rated 400CCA @ 28.6Ah(20HR) and is a 21lb AGM type battery. EDIT: I now run a PC925. Both these batteries crank the car strong, but I would not recommend ever using anything weaker! My 2011 E82 did not have a charging map listed in the CAS module for anything less than 80ah AGM. Therefore, this is what I chose when I coded my car (initially). There are people that have reported seeing options in the CAS module for as low as 40ah AGM. I believe updating to a newer CAS ZB software may provide more options. Or, maybe the additional options are only available in the CAS module for higher end models like 335is E92’s? I can only speculate as to why some people have more settings available than others. Q: What cable do I need to connect to use BMWtools on my laptop/device? Q: Can I use Bluetooth? Q: I installed a battery with exact replacement specs (e.g. 80ah wet cell with 80ah wet cell). How can I register my new battery? Q: I installed a battery of a different type and/or capacity (e.g. 80ah wet-cell with a 90ah wet-cell, or, 90ah wet-cell with a 40ah AGM). How can I code for the changes I made to the battery? Carly is an Android/iOS app that can be used to painlessly register and code a new battery. Just purchase the app, and the in-app purchase for the battery module, and it walks you through the process. 2) Verify your OBDII to USB cable is working properly or that your OBDII to Bluetooth adapter is properly paired to your device and communicating with Carly. 3) Purchase the in-app battery module. From here, Carly walks you through the steps of both registering the battery and coding for any changes. It’s that simple. Use Rheingold (ISTA-D) to REGISTER and/or CODE a new battery. The virtual machine, mentioned above, comes pre-loaded with this dealer level software. An BMW ICOM emulator is all setup for you to use this program with the aforementioned K+DCAN cable. Rheingold is an amazing tool. It will automatically diagnose issues with your vehicle and provide a corrective action plan to fix them. It will even tell you the steps you need to take to re-program things with a separate program called ISTA-P.
1) Turn ignition to the “on” position. INPA can be used to verify the car is communicating properly. INPA shows when the ignition is in the on/off position. 8) Rheingold then walks you through your options! You can simply register a new like-for-like battery, or you can change the battery capacity. Rheingold will prompt you to perform coding using ISTA-P! This method is a bit incomplete in regard to coding. It uses NCSexpert to edit the settings in the CAS and NFRM modules. Essentially, you are manually changing the settings in the CAS/NFRM module to reflect the new battery. *****While this method seems like a straightforward way to code for battery changes, it fails to address the issue of vehicle order (VO). This could have implications for future coding and ZB updates. See option 5. The FSW_PSW.TRC file we generated when we “read” the CAS module is where we are going to change the battery settings. After making our changes, we will then change the file extension to the file type NCS uses to write to the selected module (.MAN). 14) Select “coapiReadSgGetFswPsw” and then “ok.” You are basically telling NCS to read all the values from your .MAN file. You will see a screen… just press ok. Then press ok again. Ok now take a look where it says “JOBNAME = CODIERDATEN_LESEN” We need to change that to a coding function because we want to write the changes to the module, not READ as we did earlier. 17) Then press F3 to execute the job. After a pause you will see the “coding ended” message! I am not sure if these steps are 100% what you’ll see. It’s been a while since I coded my battery, but I’ll update the steps as needed. Instead of clicking “Process ECU”, you can click “Process car” (F3), and then “Code Car” (F1). This will code every module in the car (might take longer like 5minutes) for the changes you made in the .MAN folder for the CAS module we read. There are changes that may need to be made in NFRM that this will take care of. The battery rating should now be updated in the system. You can verify the coding was successful by performing the steps outlined in Appendix D.
This is the proper method to manually code for changes to the battery. Your vehicle order (VO) stores all the information regarding the various hardware your car came with from the factory. For example, if your car came with a wet-cell 70ah battery, your VO will read out with attribute -B070 (see Appendix B). Now, lets say you used option 4, above, to manually change the CAS module to reflect a new 70ah AGM battery. Your VO will still reflect the old battery of –B070. You want your VO to be updated to read -A070 (see Appendix B).! If you go to the dealer, their software (Rheingold/ISTA-D and ISTA-P) will read your VO and recommend diagnostic/programming changes as if you still have that old battery installed. Basically, their software would overwrite the changes you made in option 4 and set all the coding back to the settings that reflect the old battery! This is also how people lose their DEALER flashed PPK tune. The dealer fails to perform the proper programming portion of the PPK flash and the VO is never updated to reflect the PPK tune is installed on the vehicle. Return visits to the dealer then results in the dealers software to recommends DME updates that overwrite the PPK dme software! If you properly update the VO then only software, and settings, that matches your cars hardware will be recommended! The CAS and NFRM/FRM modules will now always default back to the new attributes you assigned to the VO! It is important to now use NCSExpert to code the car to the new VO settings. If you properly changed the VO, NCSExpert will automatically write the battery capacity and type settings to the various modules. This is what we did manually in option #4! “B” represents wet-cell, while “A” represents AGM in the VO. ISTA/D (aka Rheingold) is the current dealership diagnostic software for all Exx and Fxx cars. 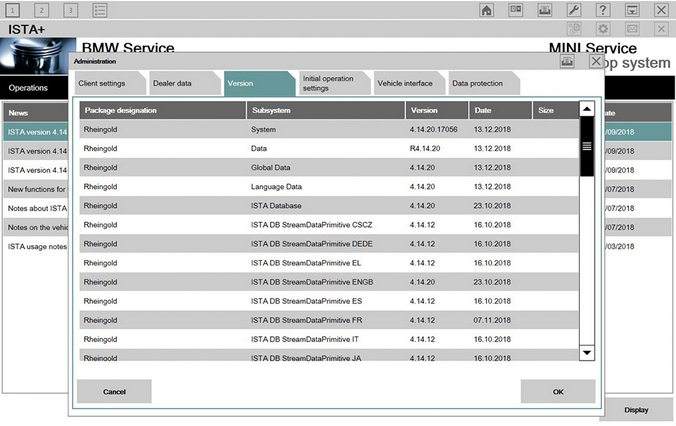 ISTA/D is the replacement for older dealership “DIS” diagnostic software. ISTA/P is the current dealership programming software for all Exx and Fxx cars. ISTA/P & ISTA/D are designed to be used with an ICOM Interface, and with full ICOM-A-B-C, you can connect to older cars. The ICOM “C” Connection is for the older BMW ADS 20-pin round “Pacman” connector in the Engine Bay. You can find versions of ISTA/D with an ICOM Emulator built-in that allows you to use it with an ENET Interface for Fxx cars and a DCAN Interface for Exx cars. INPA (interpreter for test procedures) is an older factory floor diagnostic software, designed to run test procedures. While INPA can be set to an English User Interface, most of the Test Procedures (scripts), which can be difficult to find, are in German. To see the current rate your battery is charging at, open the INPA program>> E90>>ENGINE>>MSD80>> Status(F5)>>PM-IBS>>PM FIELD 2 . Under the PM Field option look at the ah reading registered, to see what it’s set at to charge your battery at present. If it’s incorrect, you need to re-try the options outlined above. Once you have done this, re-register your battery using the Tool32 program. Then go back into INPA and check the PM Field 2 again to see if the new ah reading has been registered.